Continuing upstream on the Inarigawa we came to a two-span reinforced concrete box girder pedestrian overcrossing. The superstructure has a diamond-shaped cross-section composed of two boxes and so it's supported by a tapered pier that cradles the superstructure (see photo below). To better understand the location of the bridges we are studying, I've labeled a map (shown below) with numbers. Yesterday's Route 10 Bridge is labeled with the number '1' and today's pedestrian bridge is labeled with the number '2.'. The map shows how the Route 10 Bridge is on a reverse curve that goes from the mainland (along the bay) onto a human-made island. 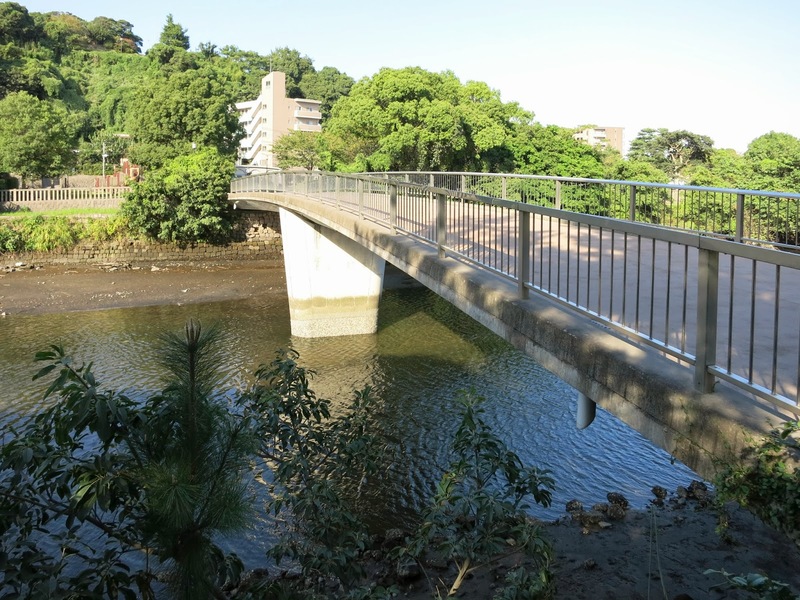 Today's bridge is important because it connects two sections of a bridge park (Ishibashi Kenin Koen) that we'll be studying over the next couple of days. 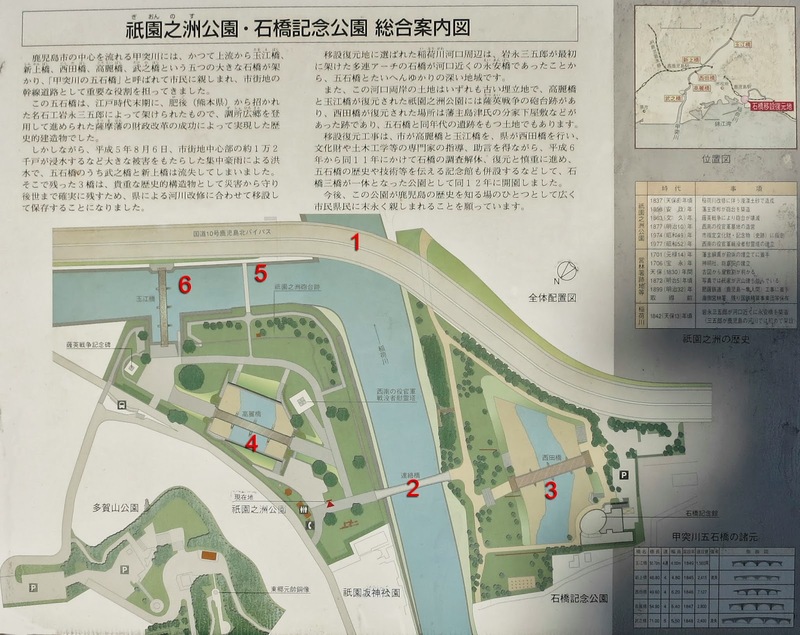 Although we are not studying any other bridges across the Inarigawa, the photo below shows a pair of railroad bridges that are just upstream of the pedestrian bridge (and beyond the area that is shown on the map). The river jogs to the north beyond these bridges. Kagoshima Prefecture, Japan's Bridges: 2: Pedestrian Bridge across the Inarigawa by Mark Yashinsky is licensed under a Creative Commons Attribution-NonCommercial-NoDerivs 3.0 Unported License.